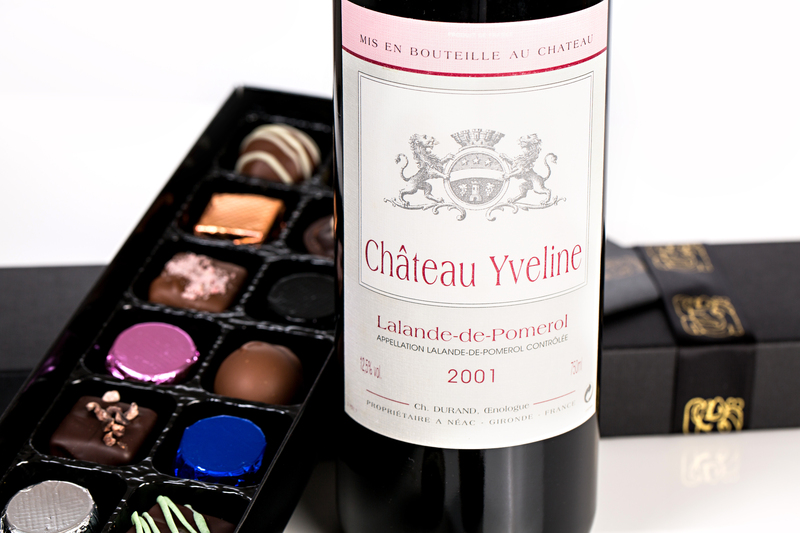 The first of our wine and chocolate gift boxes contains a bottle of Lalande de Pomerol fine claret, produced by artisan winemaker Christian Durand at his family vineyard, Chateau Yveline. This excellent fine Claret is made from 100% Merlot grapes grown on a small select part of the vineyard, situated in the commune of Neac. The grapes are hand picked and selected, so only the best go into the wine which is vinified using traditional techniques and aged in oak for 18-20 months. The production of just 15,000 bottles per year makes this a unique and extremely exclusive wine. 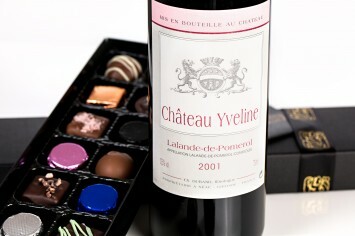 Our wine and chocolate gift box comes with a bottle of Chateau Yveline, Lalande de Pomerol 2001 fine claret and 32 of luxury handmade chocolates. Packed in a presentation box. Tasting notes: A beautifully rich, sumptuous, well structured and full bodied Claret, with the Merlot grapes giving suppleness, superb fruit flavours and a long finish. 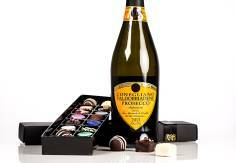 Wine and chocolate gift boxes are delivered free in the UK with your message on a card.